We usually make a concerted effort at the beginning of the week to look our best and put in that extra time to get ready. By the end of the week, there is definitely less motivation to look sharp and put-together. 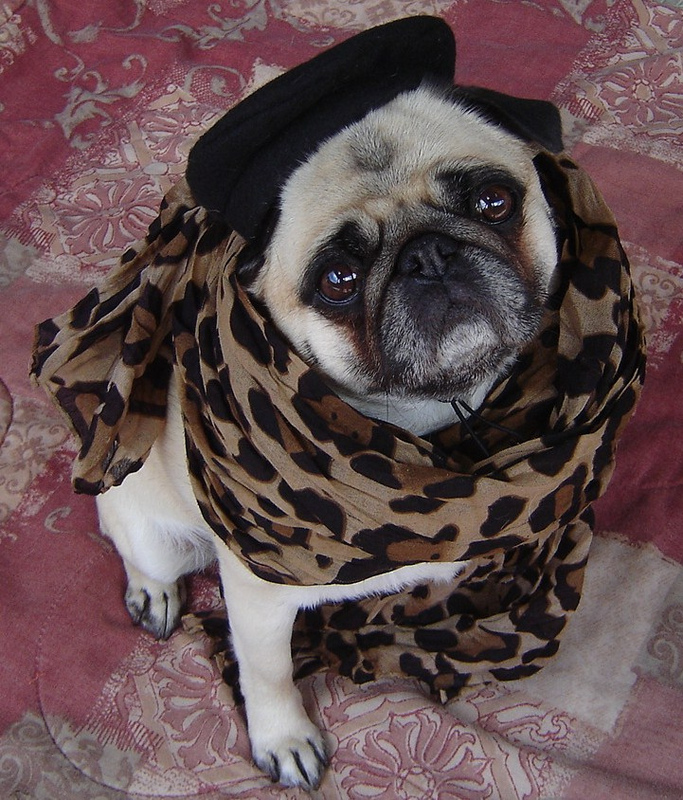 As our pug friend here can attest, Mondays are for looking your best. Who Could Say No To Sunday Brunch? 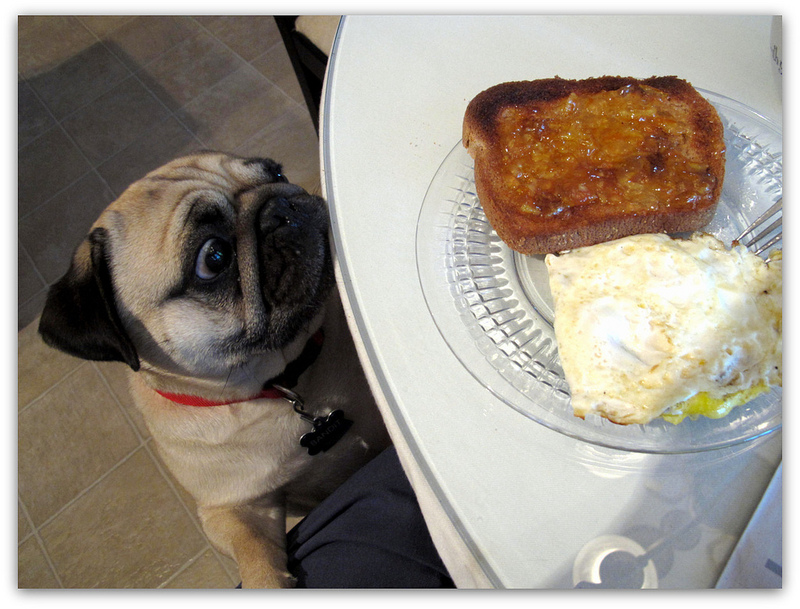 We love enjoying a nice relaxing Sunday with our pug, and whipping up some Sunday brunch is a great way to get any pug’s attention! We hope you’re all having a wonderful weekend! There are people out there in the world that claim working out makes them feel energized and ready to tackle any obstacles in their path. 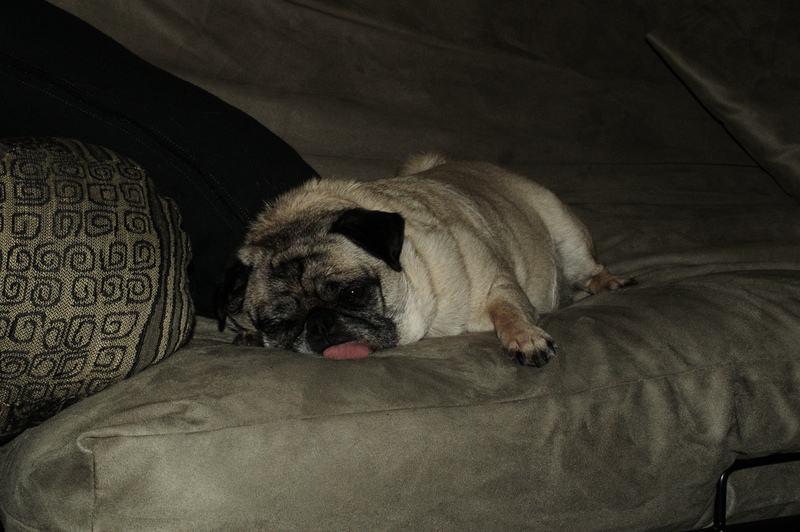 While we recognize the importance of a good workout and the importance of keeping a healthy pug, we have to admit, that this is how exercise makes us feel. This week seemed to fly by! Suddenly we find ourselves facing another Friday, and we couldn’t be happier! 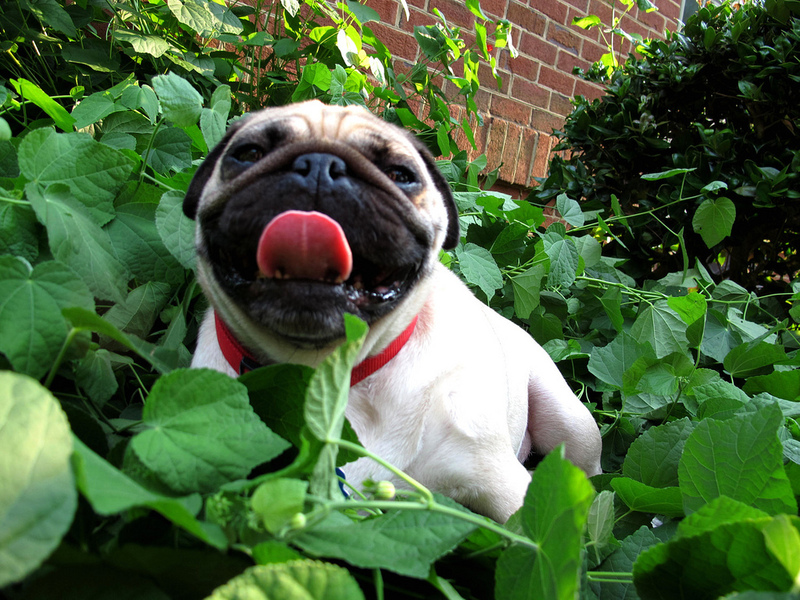 We’re definitely ready for another beautiful summer weekend full of pug! Have you noticed that some mornings require a little extra time for both you and your furry friend to really get rolling? Today might be one of those days. 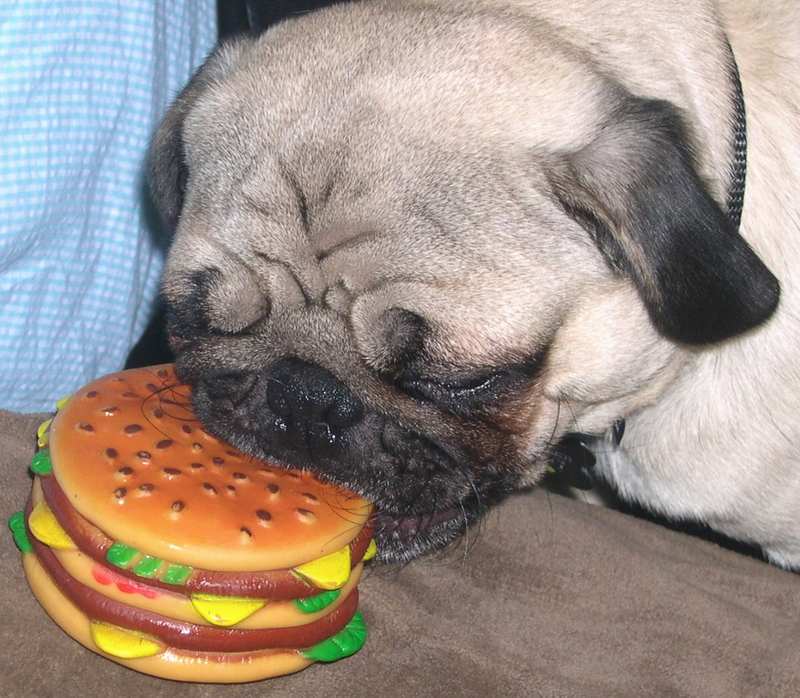 Just like their favorite people, pugs are also creatures of habit. 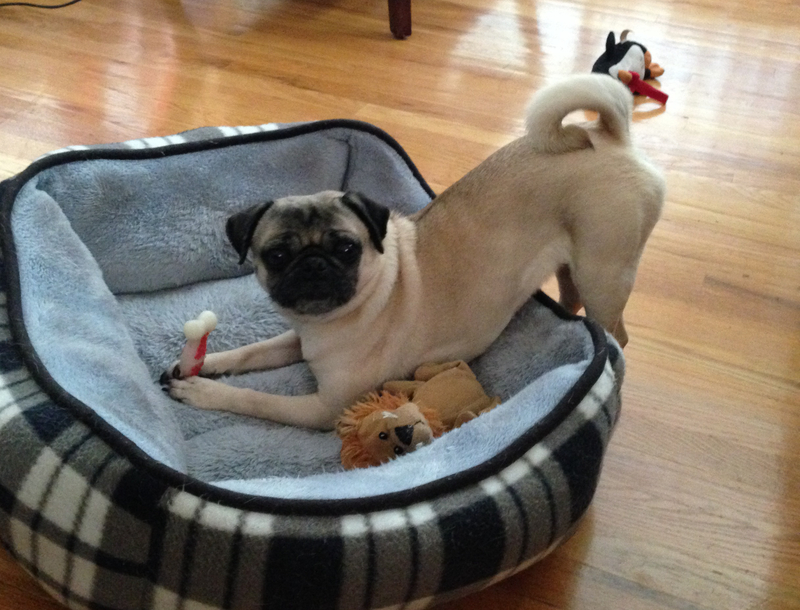 Our pug Nickie spends every morning playing with her bacon-flavored bone toy (we’re pretty sure it’s her favorite). Once she’s done for the morning, she’ll ignore the toy for the rest of the day until the next morning. This is a rare instance where we found her combining both of her favorite morning activities – stretching and chewing on her bone! 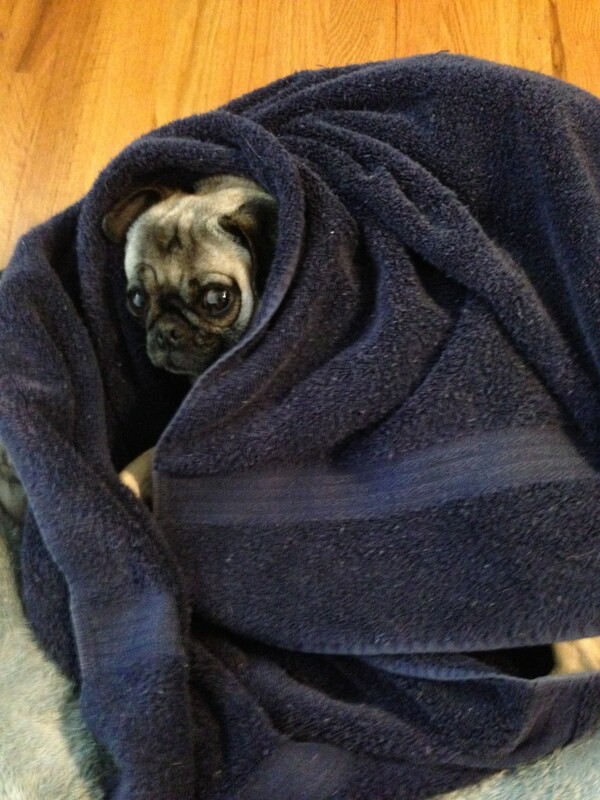 How About that Polar Vortex? 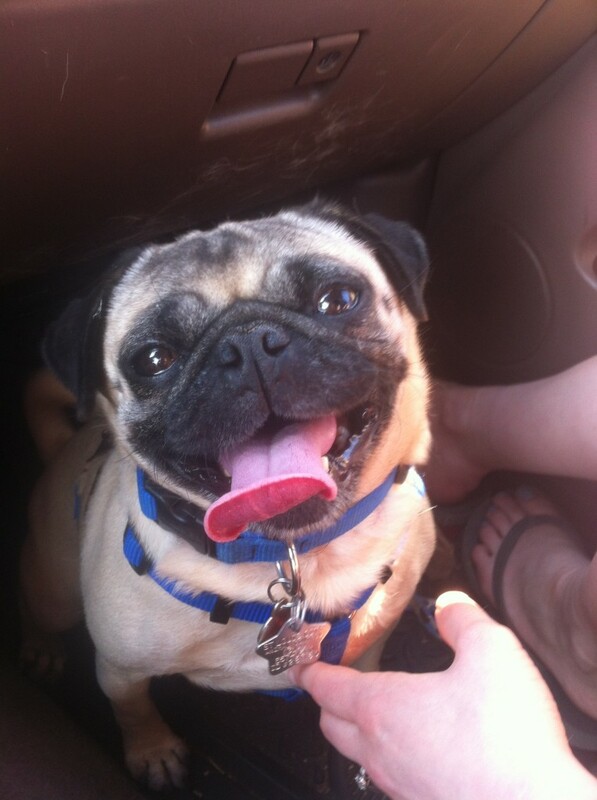 There are few things in the world (that are not food) that are as exciting to our pug Nickie as car rides. Even when we take her outside for a walk around the neighborhood, she often bolts straight to the car and stares at us expectantly. This pug was made for cruising. I Can Has Cheezburger Too! There’s nothing quite like an invigorating run in the sun! 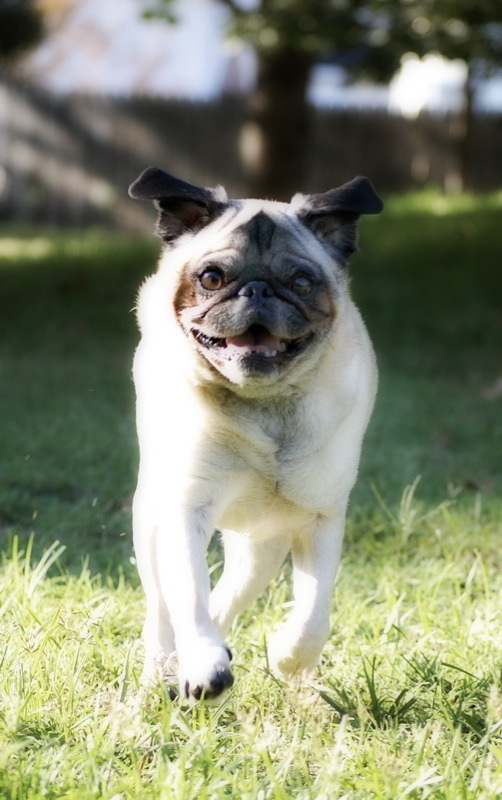 Our pug loves being outside and enjoying the sunshine, and she runs crazily in big circles around the yard when she’s excited (and then falls asleep almost immediately once she’s back inside). 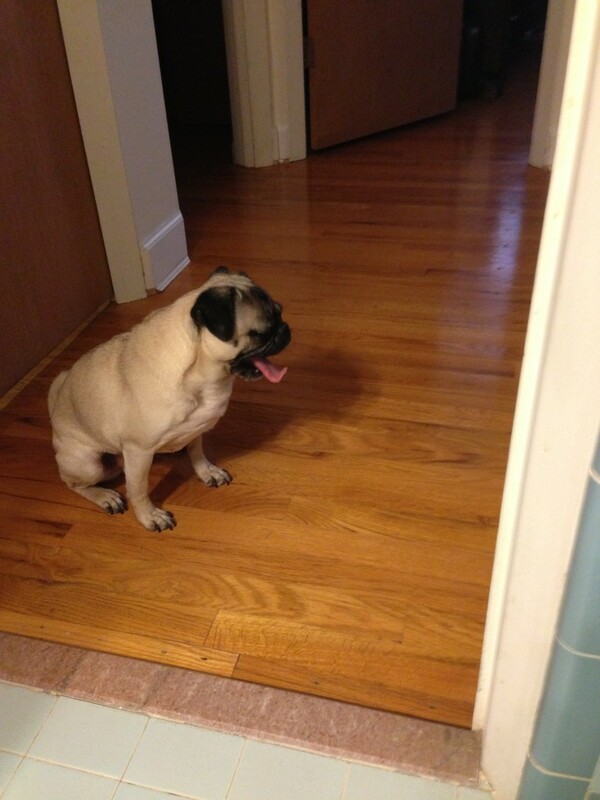 This stunning pug has great frolicking form. Just look at those bouncing ears and the great big smile!